In the age of digital connectedness, what does it mean to be a… friend? The implications touch all aspects of social culture and business. Using the latest research and data, integrating the available literature on the topic, and conducting original primary research, The Science of Friendship project will illuminate how we are engaging with each other in the digital era when it comes to the relationship we call friendship; and what this means to businesses, brands, and ourselves. 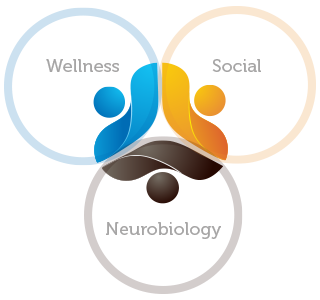 The scope of our work covers Wellness and how we treat ourselves and others, Social connections, networks, and communication dynamics, and Neurobiology and the aspects of it that fuel connection, friendship and bonding. We term this, the three-fold framework of friendship. We have found that these three bodies of research provide the most holistic approach to tackling this subject. No one aspect of friendship can be studied in isolation without considering the multi-layered scaffolding that is our body, our minds, and our culture. A great song about Friendship–from the Staples Family! Do Prudes Make Better Friends? Welcome to The Science of Friendship. Participate in new research: Share YOUR stories about friendships! In the age of digital connectedness, what does it mean to be a… friend? The implications touch all aspects of social culture and business. Using the latest research and data, integrating the available literature on the topic, and conducting original primary research, The Science of Friendship project will illuminate how we are engaging with each other when it comes to the relationship we call friendship.